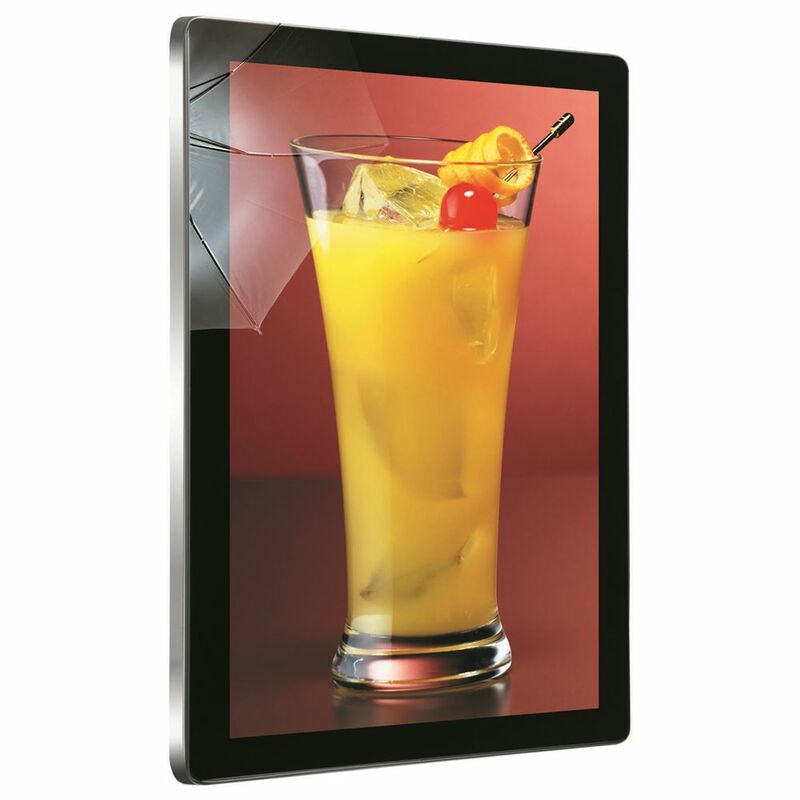 Introducing the new range of HD Slimline Digital Advertising Displays, with their built in HD media player they require no additional hardware such as PCs, DVD players, excess cables or software, you simply load your media onto a USB stick then plug and play. 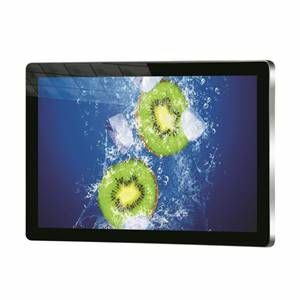 Their buttonless tempered glass face, rounded corners, super slim profile and aluminum frame all add to their eye-catching tablet like aesthetics. The displays are fitted with commercial grade panels providing them with a wide viewing angle, improved colour, contrast and brightness as well as the ability to be used 24 hours a day. With an eco-friendly power timer you can be assured of their green credentials and low operating costs. Also included is simple and intuitive piece of scheduling software which allows you to Schedule different content to play at different times of the day. As well as this you can add scrolling text to compliment your content and get your message across. The new Slimline Digital Advertising Displays also feature HDMI and VGA inputs, allowing you to connect any number of external devices such as a PC or external media player. A free wall mount is also included allowing you to mount your display in both landscape and portrait orientations. Warranty UK Mainland 12 months collect, repair, return (excludes accidental damage). Terms apply.